The man behind an extremist pro-hunt website has been exposed as Andrew William Leaver who according to the Countryside Alliance is ‘the MD and co-founder of Leaver Evans Ltd‘. Andrew Leaver was exposed after he received a formal police caution after taking photographs in a court building and putting one up on his website; taking photos or video “within the precincts of a court” is a serious offence and is arrestable without warrent. Leaver even registered his extremist website in the name of ‘Leaver Evans’. Leaver’s claims his website ‘has no association with any organisation, politcial (sic) party, club, hunt‘ however we can reveal Andrew Leaver has featured on the Countryside Alliance website as a fundraiser. Leaver is also a ‘hunt steward’ of the notorious Crawley and Horsham Hunt. 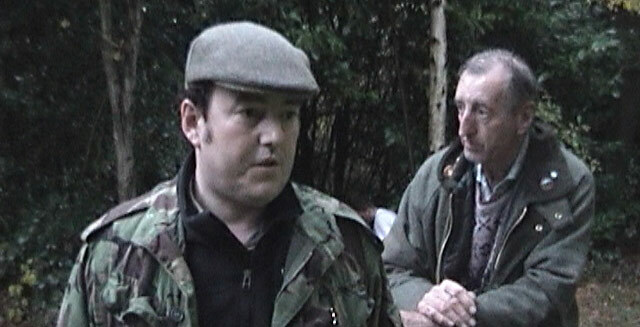 In November 2006 Leaver was filmed digging what protestors claimed was a badger sett; the Surrey Badger Group later confirmed that it was an active badger sett. According to the Countryside Alliance website Leaver Evans Ltd is one of the “world’s leading providers of investment properties in the Far East”. However a quick check shows that Leaver Evans Limited has not yet filed any accounts at Companies House. It’s chequered history suggests it might not be as good as the Countryside Alliance claimed. Even his company’s prestigious registered address, it can be obtained for £99.99 from a company formation agent, and its main telephone number goes direct to Andrew Leaver. In September 2007 a new company was registered Leaver International Limited but again no accounts are available. His principle advertising thrust seems to be at the rather parochial Knepp Polo club, where he pushes the Leaver Evans Cup. Perhaps this explains why he will be up at before 6 in the morning offering his services to the Crawley and Horsham Hunt (which is practically the Knepp Polo Club in disguise). Mr Leaver points out that many of his ‘friends’ are not very bright: “I think most of my friends in West Sussex think Kilimanjaro may be a nightclub just off the King’s Road.” No wonder he feels right at home.